Can I visit Montserrat in a wheelchair? Yes, you can! The accessible Montserrat tour is a private guided day trip outside of Barcelona to the National Parc and Monastery of Montserrat. The tour is entirely accessible for passengers in a wheelchair. First we discover the beautiful and mysterious mountain range of Montserrat. 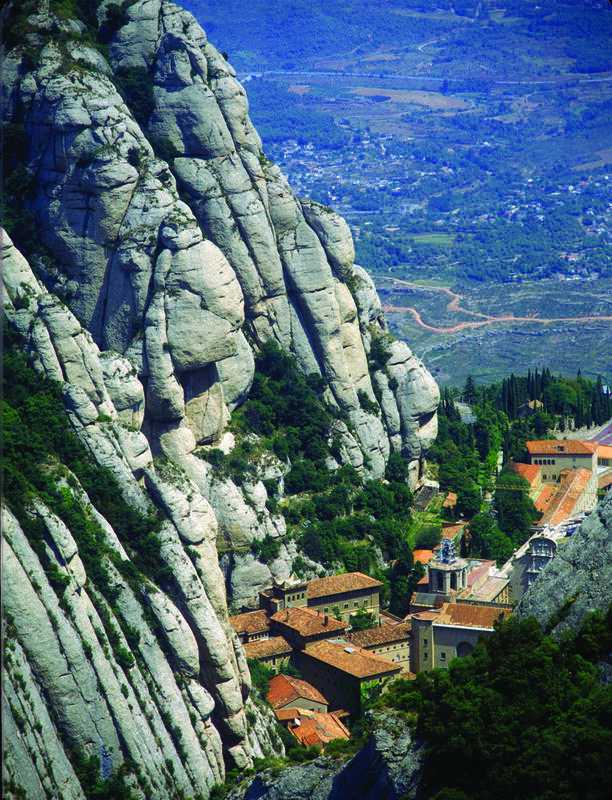 The name, Montserrat refers literally to the look of these unique mountain peaks. The origin of the monastery goes back more than 1000 years. We also make time to visit the museum and make picturesque photos of the environment. After we head down the mountain with our private driver to have lunch in an accessible local restaurant. In the afternoon we can chose between visiting Sagrada Familia in Barcelona, or discovering a local wheelchair accessible winery with a wine tasting. The lunch takes place in an accessible restaurant with accessible bathroom, adapted for clients in a wheelchair. Please ask us for a more personalized accessible Montserrat tour, we love a challenge!